Kate Brandt serves as the U.S.’ federal environmental executive and holds responsibility for implementing environmental and energy sustainability policies across the federal government. Prior to this role, she held a senior adviser role at the Energy Department and worked to help the agency develop and execute the Obama administration’s climate action plan. She has also served as a director for energy and environment in the Office of Presidential Personnel, as a special adviser to the Secretary of the Navy on energy issues and as a policy analyst at the White House’s Office of Energy and Climate Change. Brandt became a policy director for the U.S. government’s efforts to establish a long-term recovery plan following the Deepwater Horizon oil spill. 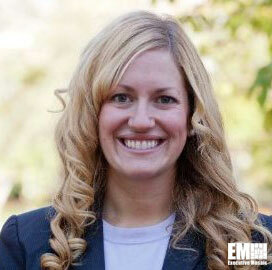 She is also a New Leaders Council Fellow and serves on the Women’s Council on Energy and Environment. She holds a bachelor’s degree from Brown University and a master’s degree in international relations from the University of Cambridge.